I love, love, loved the Wrath and the Dawn. I can't wait to read the second book!! 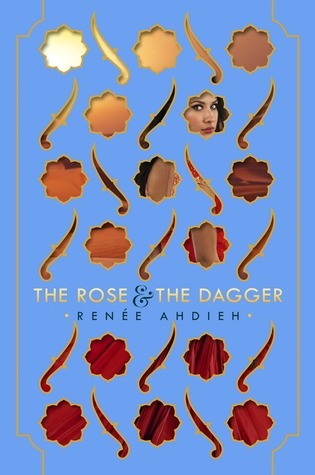 I loved The Wrath and the Dawn so I am super excited for The Rose and the Dagger! Oh yes! Definitely looking forward to this one! So excited for this! I really enjoyed The Wrath and the Dawn, can't wait to find out what happens. And the cover! So happy with the way they match. I still haven't read the first one, but I really want to. The cover on this is beautiful. I hope you enjoy it! I know I'll eventually get to this series. I just don't know when. *sigh* Here's my WoW. Happy reading! I still haven't read The Wrath and the Dawn, but I'm definitely going to soon. The cover on this one is just gorgeous.